Sports trampolines, as with professional trampolines, endure seasonal or year-long use. Armed with the information that a jumping mat is less responsive when the springs are distended, it becomes obvious that any trampolining activity in these conditions will be undermined. After several seasons, it may become necessary to replace several springs. 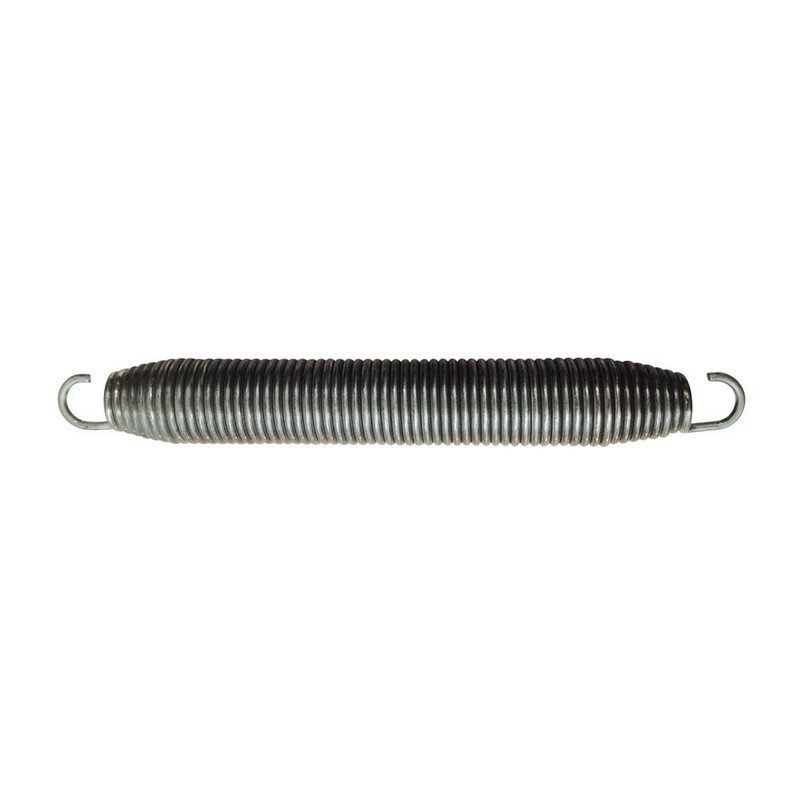 - If one or several springs are damaged, we can provide this spring of 250 mm in length which will be perfectly adapted to your sports trampolines. - It has been treated to protect it from corrosion and can therefore remain outside all year round. The steel wire has a diameter of 3.3 mm and the coil a diameter of 30 mm. - To remove your old springs we would recommend using the hooked clamp sold with the original trampoline. Press down in the centre of the coil and remove the hook attached to the framework. - Do not hesitate to contact us if you have any doubts about your spring measurements. Ils ne sont pas tout à fait identiques à ceux que nous avions à l'origine, même longueur mais diamètre plus large, nous espérons qu'ils feront l'affaire car ils étaient chers.